FLEX WATCHES IS A COMPANY THAT RACES AWARENESS. THEY SUPPORT DIFFERENT CHARITIES, OR CAUSES BY GIVING BACK 10% OF PROCEEDS. BUT THE COMPANY ALSO GETS INVOLVED WITH EACH CHARITY TO BRING HOPE TO OTHER. EACH COLOR WATCH REPRESENTS A DIFFERENT CAMPAIGN. "MAKE A DIFFERENCE BY SUPPORTING FLEX"
YOU CAN CHANGE THE FACES & BELTS ACCORDINGLY TO THE WAY YOU WANT. YOU COULD SAY YOU WILL BE SUPPORTING TWO CAUSES @ A TIME. 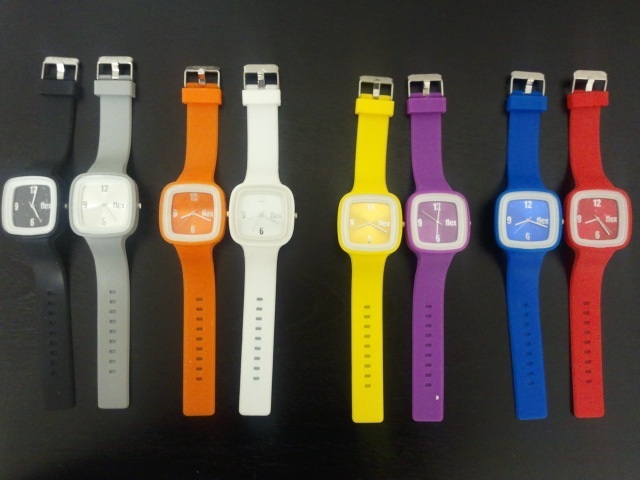 "SWITCH / MATCH & SUPPORT"
WE ALSO RECEIVED SOME PRINTS & CUSTOM FLEX WATCHES FOR YOU TO CHOOSE FROM. THE CANCER ASSOCIATION WATCH HAS ARRIVED.